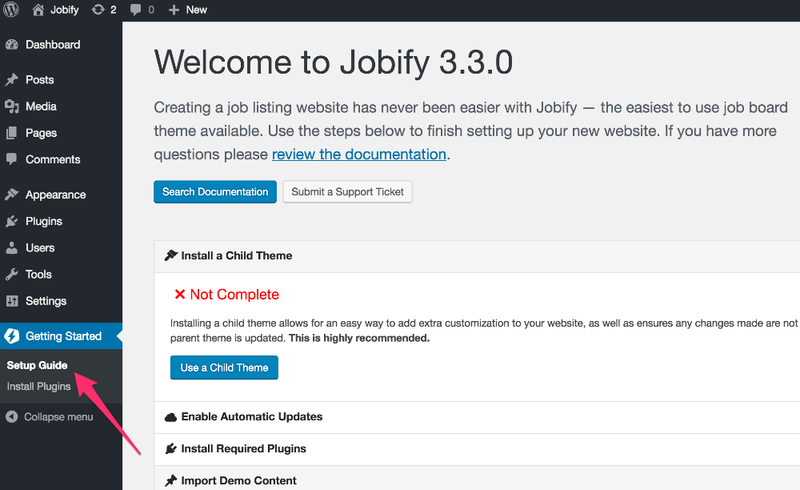 With Jobify 3.3+, you can use the new automatic content importer. With this importer, you can import all the demo data as well as configure all your plugins, pages, and theme settings with one click. Ensure you have all your recommended and desired plugins installed. Begin importing the demo content. Note that you can choose to import the classic demo content or the extended demo content. Before you import the extended content, make sure you have all the premium plugins installed and activated.